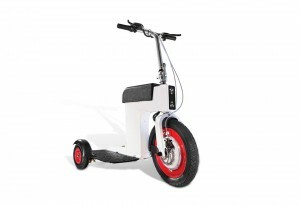 The American population is aging and battery technology is getting better, so we should expect to be fighting for sidewalk space with an increasing number of electric scooters over the next couple of decades. 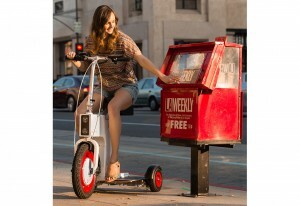 That said, I suspect the Sharper Image Folding Electric Scooter is not likely to be one of them. You will never see this, not ever. This entry was posted in Sharper Image, Such a bargain! on January 16, 2015 by stern. 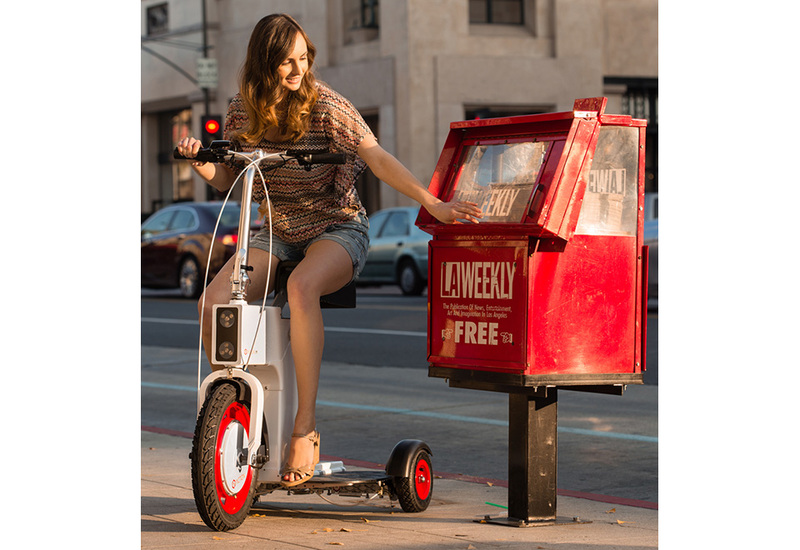 From the looks of the image, she spent all of her money on the scooter and now has to read the “Free Weekly” paper. 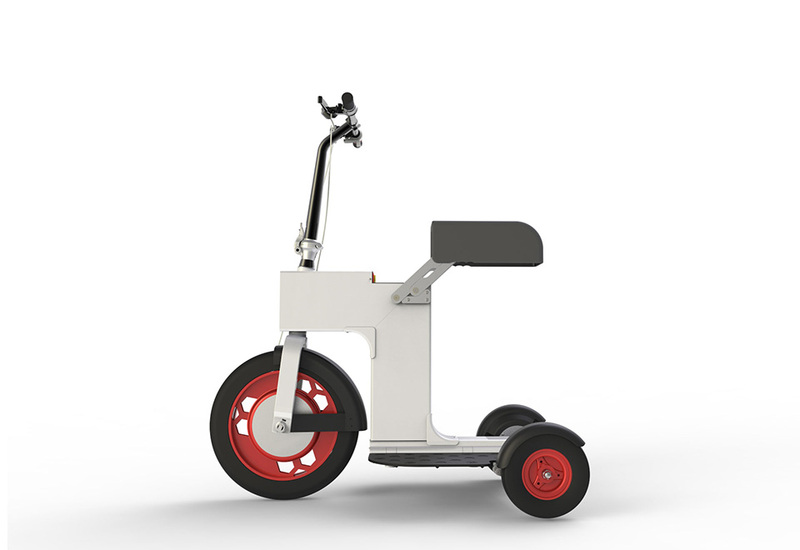 Why not a pedal trike for her?